We are pleased to provide this information as a service to the public and to the ophthalmological community. 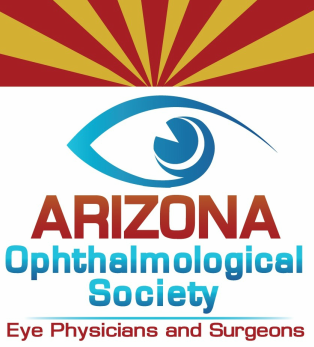 The Arizona Ophthalmological Society was conceived to serve as a source of educational, social, and ethical exchange for the member Eye MDs and DOs of the State of Arizona. Need CME? Join us at the ArMA Spring Conference on March 16, 2019! Join your physician colleagues on Saturday, March 16th, for the 5th annual ArMA Spring Conference, formerly known as the ArMA Physician Leadership Conference. This conference has been approved for 3.5 hours of CME. This year's Spring Conference will be educational and address a very timely issue of machine learning and how it impacts the practice of medicine. This topic is spurred by the advances of processing power, memory, storage, and an unprecedented wealth of data. We are seeing more now than ever computers are being asked to tackle increasingly complex learning tasks, often with astonishing success. ﻿You will also have the opportunity to join your colleagues for a unique round table networking lunch immediately following the morning conference. We have created a discount code to help our members who may not remember their login/password. This code is ArMAMember2019 and can be applied during checkout. The cost is $50 for members and $300 for nonmembers. ​Twenty ophthalmologists have been chosen via a competitive selection process to participate in the Academy's Leadership Development Program (LDP) XXI, class of 2019. Congratulations to Jordana M. Smith, MD for securing a coveted spot in the program! This year we celebrate the 40th Anniversary of Greg King serving as Director of the Arizona Medical Eye Unit. Over those years, he developed generational roots within rural communities all over Arizona who appreciate bringing outstanding eye care by AOS volunteer ophthalmologists within a reachable distance to their homes. before the Oct 7th opening of the bidding/raffle! Thanks so much to the Phoenix Ophthalmological Society for their generous donation to the AOS Foundation for the second year in a row! We greatly appreciate your support!! The mission of the AOS Foundation is to provide education and assistance with a goal toward excellence in eye care for physicians and patients. The AOS Foundation, a component Foundation of the Arizona Community Foundation, is a non-profit 501 (c) 3 organization created to help the Arizona Medical Eye Unit (AMEU) and other programs. The AMEU began in 1976 as a rural outreach program for patients without access to an ophthalmologist (a medical and surgical eye physician, or eye MD). The program was a collaborative effort with the University of Arizona Department of Ophthalmology and hundreds of AOS volunteer ophthalmologists. Greg King has been Acting Director since its inception. His success in establishing long-term relationships with rural clinics has allowed thousands of patients to receive timely and necessary eye care from a board certified ophthalmologist. The program expanded its scope in 2008 with the help of the Arizona Lions Eye Organization. Thanks to support received, a new truck was purchased. 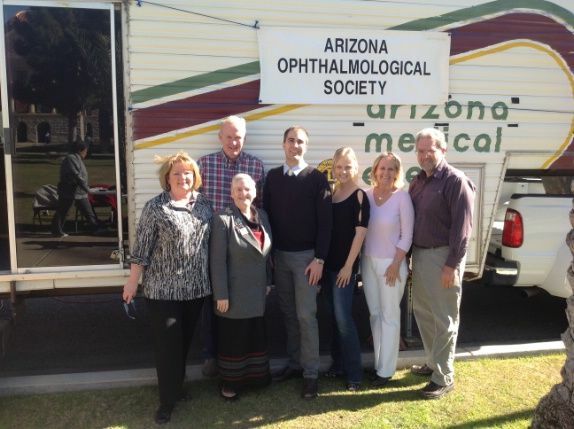 The next goal is to purchase a new trailer for the Arizona Medical Eye Unit (AMEU) with updated equipment. Read all about it and other news on the NEW﻿ ﻿AOS Foundation website.